Sometimes case studies aren’t enough to convey the whole depths of a working relationship. This is why we’ve decided to start a series called “Relationships” which delves into the detail of what it means to work with the WATB Team. Each article we produce is with the express permission of the client. We’re kicking off the ‘Relationships’ series with Fantastic British Food Festivals (FBFF), one of our longest running clients. 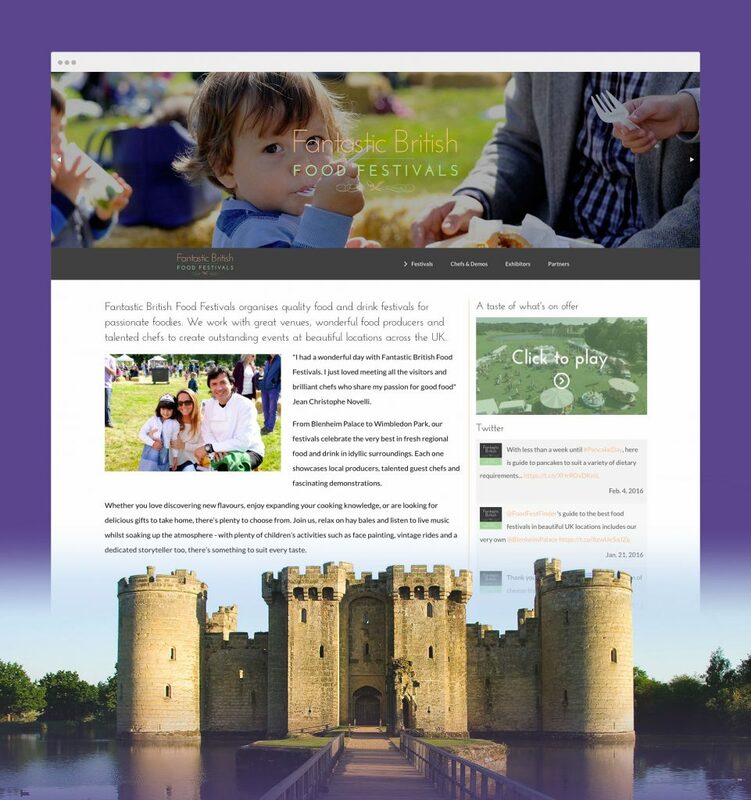 FBFF organise quality food and drink festivals for passionate foodies; working with great venues, wonderful food producers and talented chefs at beautiful locations across the UK to provide outstanding events. We’ve been with FBFF since the beginning, back when these festivals were just an idea. Today, these Food Festivals have grown to be wildly popular and are all around the south of England, attracting thousands and thousands of foodies from across the country. As with a lot of relationships, a mutual friend introduced us and the rest is history. One of our first projects was to create an identity for FBFF itself. We started with the logo and wanted something that could be used across festivals going forwards. The idea was to create variations of this logo for each regional festival too, only highlighted by colour. Take a look below to see what we created. As you would imagine, over the three years we’ve been working together there have been variations, spins-offs and multiple logos under the FBFF brand. We’re really proud that we’ve been, and continue to be, part of that process. The brand continued to grow and the festival locations started to multiply. It was time to build a website for the brand. 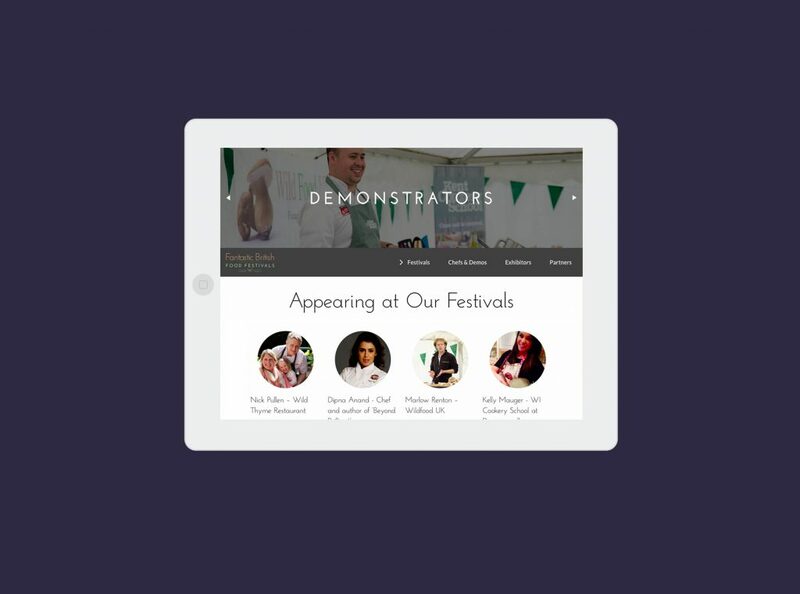 The initial idea was to attract stallholders, sponsors and chefs to the website. This meant creating a website that wasn’t fully consumer facing but had enough content to satisfy all types of visitors. 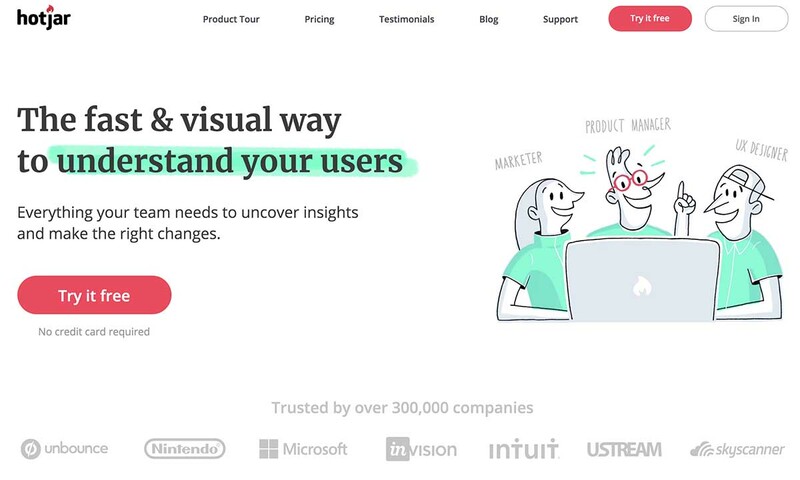 The site is actually three years old now, but is still a huge part of the brand, attracting around 5,000 visitors a month. Hopefully, that gives you an insight into how our relationship began, which through constant conversations with the guys over at FBFF, was a smooth and collaborative process from day one. In fact, our relationship was blossoming so much that we decided to get some TCE (FBFF’s parent company) some cupcakes to say ‘thank you’. How does it work on a day to day basis? Three years on and we’re still working together on an almost daily basis. Our team has grown, their team has grown, and the systems we use have grown. Nowadays, tasks, projects, ideas and edits come through via email, are assigned a job reference number and a person, pushed to our task management software and tracked throughout their lifecycle. 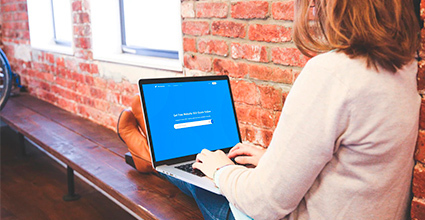 This allows us to index and search for jobs at lightning speed and at ease. It also allows FBFF to recall any job we’ve done at any time and we can pull up notes, files and a history of what we did. 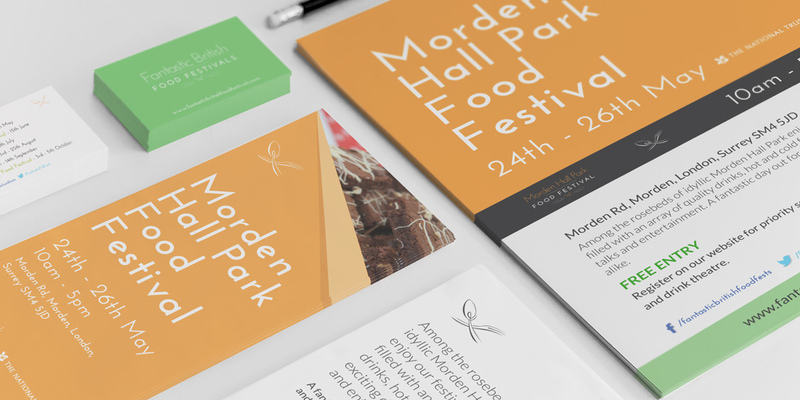 We’ve been lucky enough to work on some amazing work for the food festivals over the last few years, and a lot has changed since the start of our relationship. 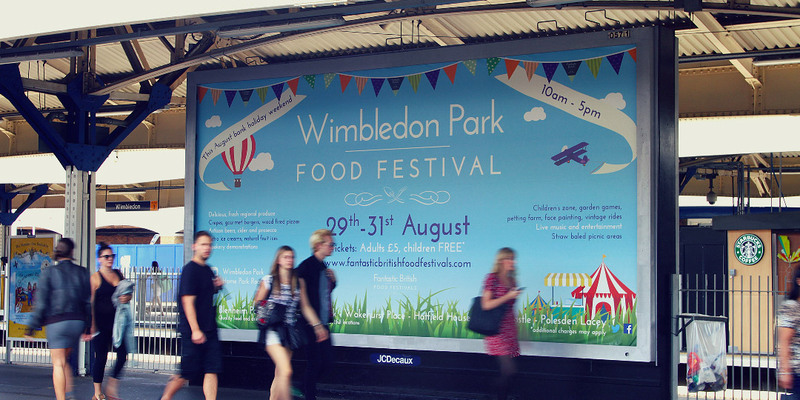 We’ve created a HD48 Billboard and some posters for advertising on the London Underground, all of FBFF’s brand guidelines are online and downloadable, the website is using the latest build techniques, staging processes and modern deploying tools. We’ve slowly refined our working methods into a slick process for all of us with the understanding that there is always room for improvement. 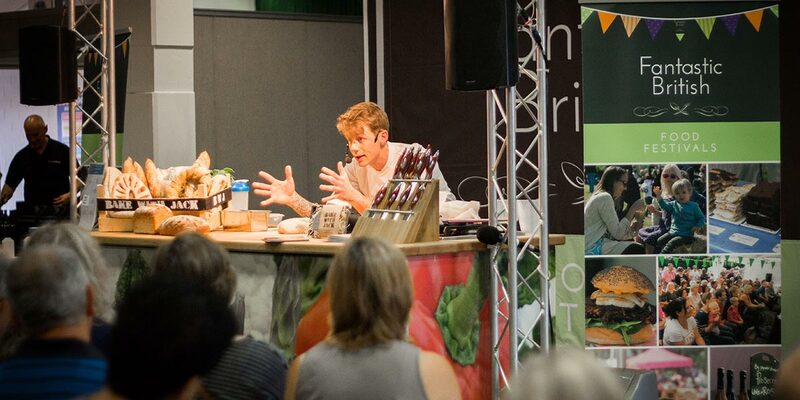 The food festivals themselves have grown exponentially and become known around the south-east for being great family days out, over 22,000 visitors visited the Blenheim Palace Food Festival this year alone! As with all relationships, it takes both parties to be as involved as each other. Collaboration, continuous communication and trust are vital. We feel like we’re still in the early stages of our relationship but we have so far ticked all of those boxes. Long may it continue. View our case study to see more of the work we’ve done for FBFF. 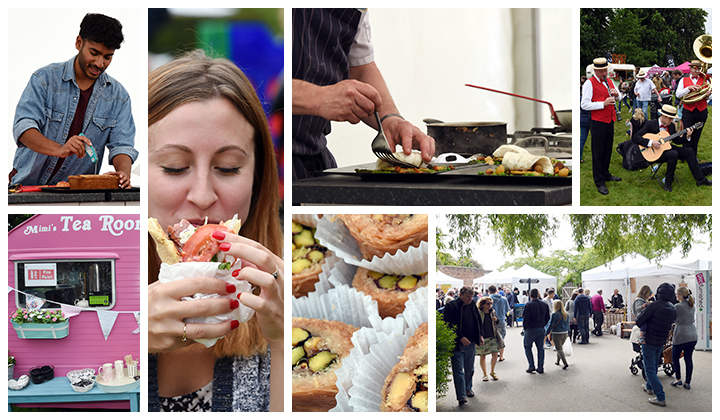 Find out more about Fantastic British Food Festivals or watch the video below!